There is no real theme to this post – hence the title. A couple of years ago I wrote this post about the highs and lows of social media. One of the wonders of it is the ability to easily connect with family and friends. Today I have spent some time setting up a group for my cousins and other extended family. This will allow us to keep in touch across vast distances and generations. The catalyst was a seed of an idea to organise a get-together on the centenary of our grandfather’s arrival at Gallipoli. He was not with the first landing on April 25th 1915 but it was significant for our family as a sequence of events that followed this led to him spending time in England where he met his future wife (our grandmother). I already have feedback from far and wide which simply would not have been possible without Facebook. 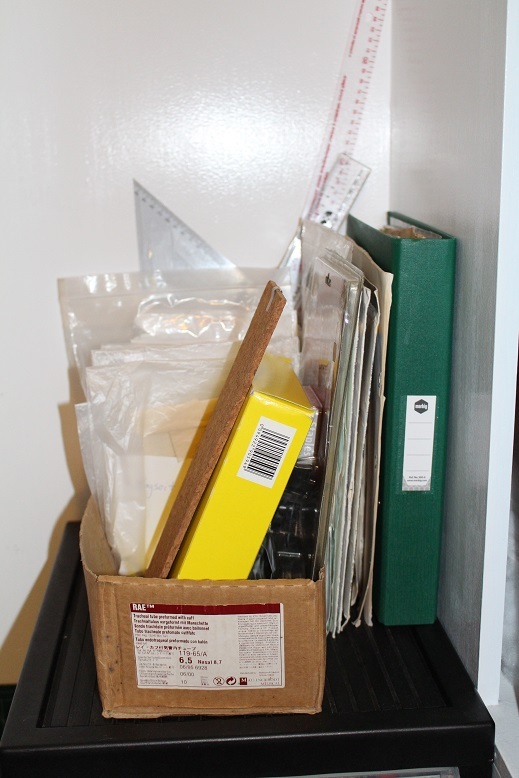 The decluttering continues – I have a small bag of a few more things that will be leaving the sewing room. I generally keep a plastic supermarket bag on the bag of the door in the sewing room and add anything that I find and then drop it off to the op shop when the bag is full. I also have 2 small cartons of books which we sorted from the bookshelves last month. They have been sitting on the floor next to the bookcases waiting for me to get organised and find a new home for them. I have listed them on a couple of local buy/swap/sell sites as well as Freecycle but if I don’t get a taker by the end of the weekend I think they will be going to the op shop as well. It is a difficult task to balance the desire to have things gone and not hanging around, against finding the perfect home for them. 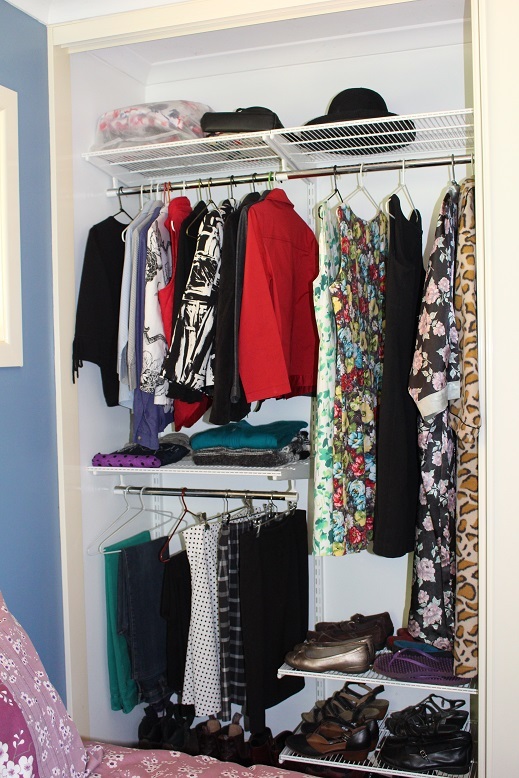 How do you manage this conundrum when decluttering? I have also set up a ‘Decluttering’ tab at the top of my blog. Check it out if you are interested. Finally, I just wanted to share these couple of photos with you today. In my next life, I think I will be a dog…………. 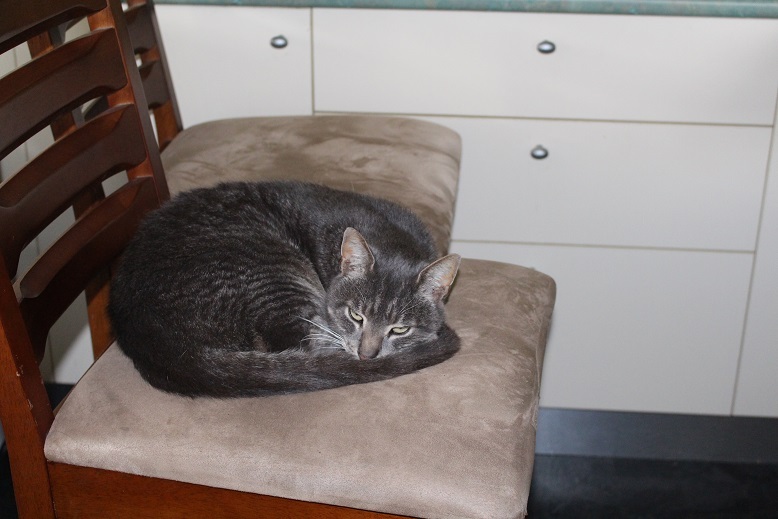 These photos were taken at about 4.30pm and the cat has been on that chair ALL DAY! The weather is not looking fabulous here – in fact it is pouring with rain and blowing a gale so I am not sure what the weekend will bring. I hope you have a fabulous weekend wherever you are. Well, this week I have not done any sewing but I have been working on my stash in a roundabout sort of way. While a lot of my sewing room is quite well organised there is always some that seems to defeat me. Some months ago I tossed it all in a plastic laundry basket and shoved it under the table until I had time to deal with it. 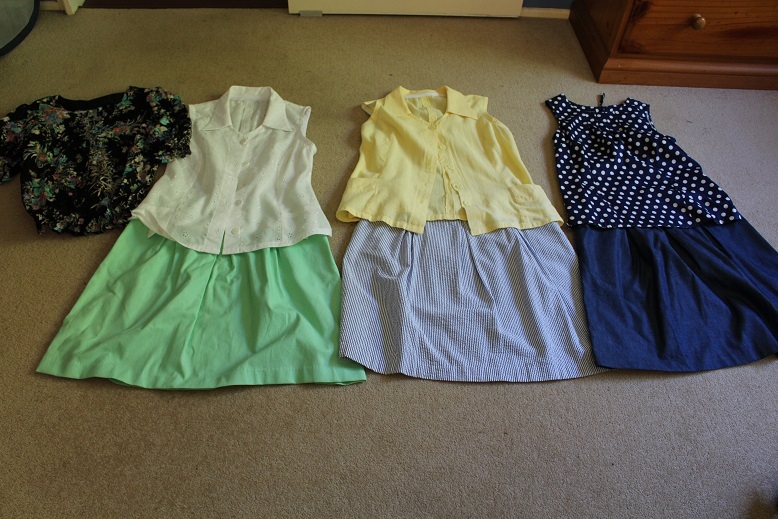 At the beginning of the week I sorted it into 2 piles – fabric and pattern pieces. Most of the fabric has been sorted but yesterday I spent quite a bit of time sorting sorting out pattern pieces. There was a mixture of commercial drafted patterns. Over the years I have offloaded quite a few patterns and more have gone in the op shop bag. They are ones that I will never use again – either due to the sizing, being dated styles or simply not fitting with my current style. 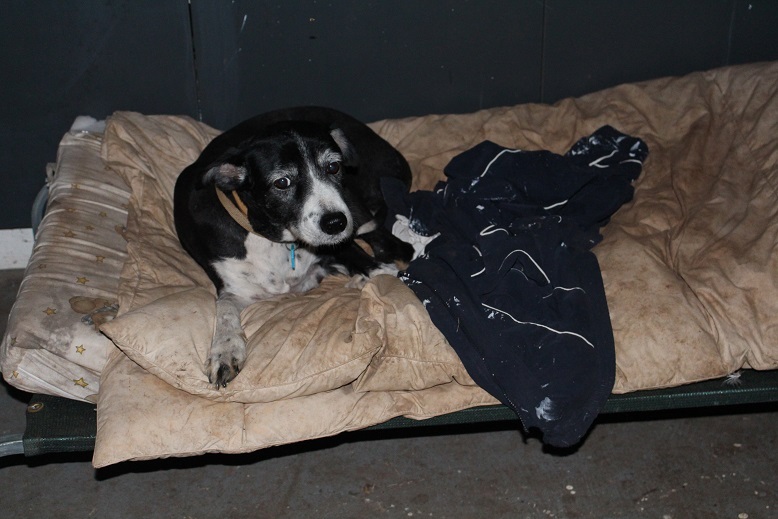 As you can see from the photo, this is still a work in progress but I am determined to finish it before the weekend as the bed will be needed when Miss O and Izz come to stay for the weekend. On a more positive note, here are the completed patterns all sorted and stacked. Now that I know what I have it will be back to the sewing and I will hopefully have some more to show you next Sunday. 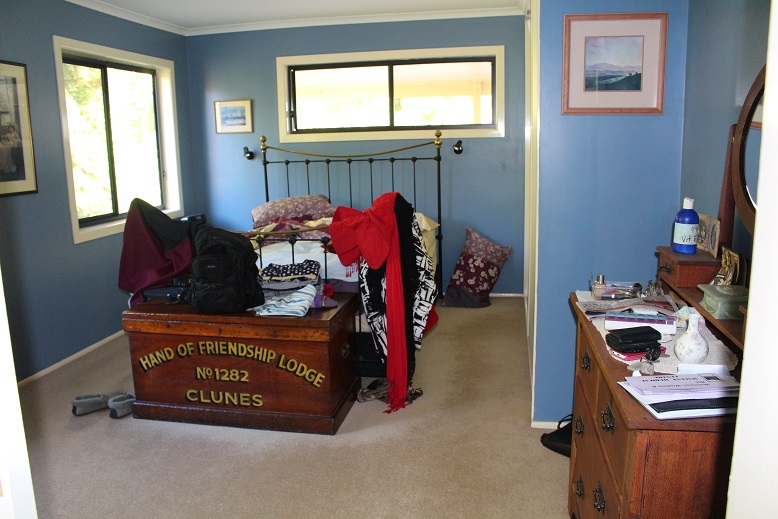 I think we have all heard the mantra of “One In, One Out” in order to keep the clutter under control. This week I have gone one better. I made this skirt last week. 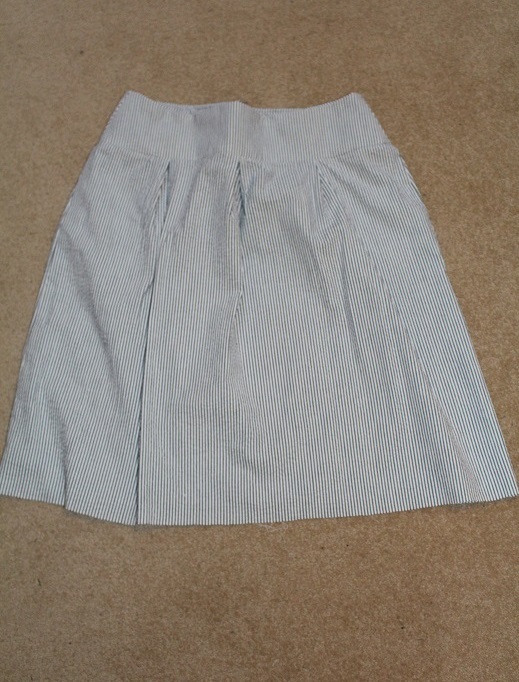 Now I have sent these 2 skirts to the op shop. I bought the navy/white one when we were in the USA in 2012 and it is wearing out. The lightweight fabric is pulling away from the seams at the sides of the waistband and I noticed that it has actually split along the fold of the hem in a couple of places so definitely time to go. The red/white skirt is one that I made a while ago. I attempted to make a pattern from the navy/white skirt. 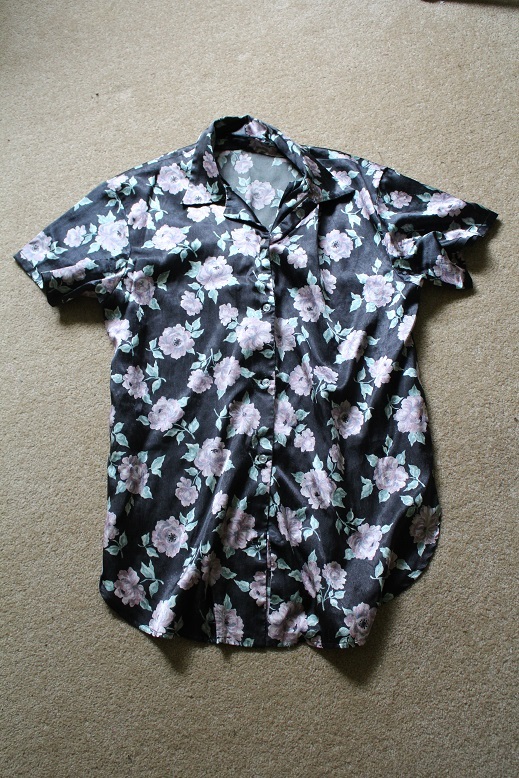 It was reasonably successful and I have certainly worn it many times but it is far from perfect. 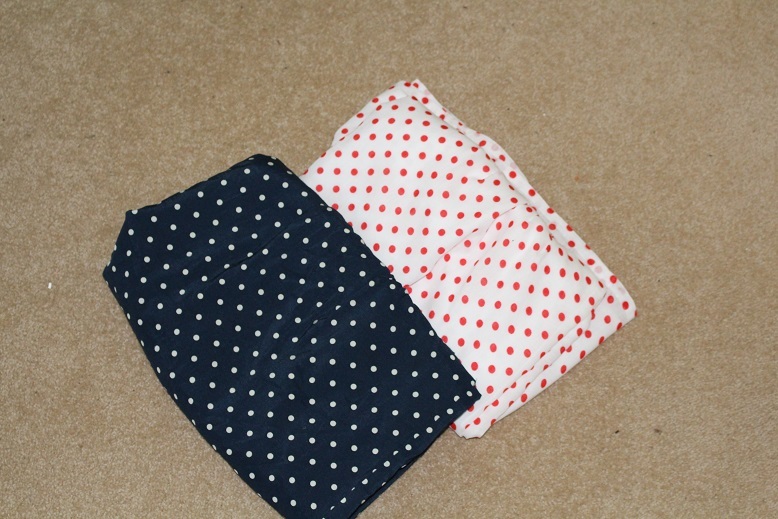 Now that i have a perfect pattern I will be using that for future skirts that I make. Time for these to go. One thing to consider when you are trying to declutter is whether your circumstances have changed. That item which was previously perfect for your needs may no longer fit the bill. This was brought home to me last week in a blinding flash as I tossed and turned on a particularly damp and humid night. I had worn this nightshirt to bed and it was sticking to me and I was most uncomfortable. I made this about 15 years ago when we were living in South Australia. The climate there is much drier and it was perfect. However, the weather here is often very humid and even when it is not spectacularly hot this satin nightshirt is not comfortable. So, even though it is still in very good condition, I added to the bag of goodies to go to the op shop and dropped it off today. 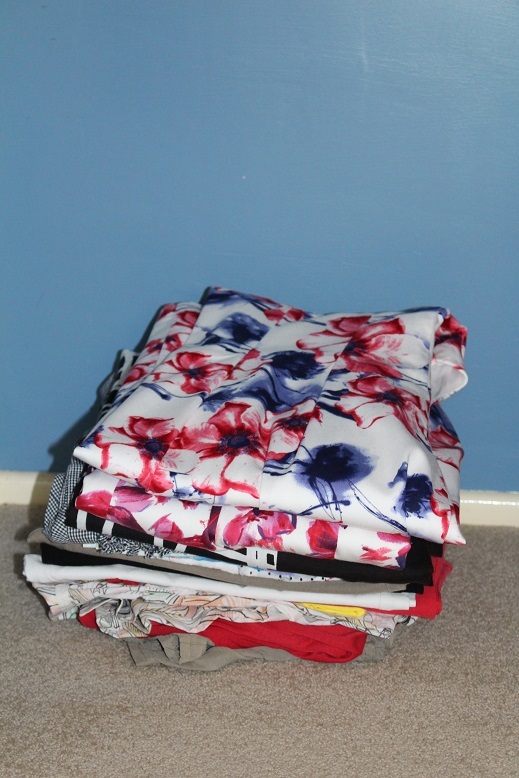 I am in the process of making myself another pair of summer pyjamas from fabric that is in my stash so tune in tomorrow to see them and some of the other sewing I have done this week. I didn’t get back to doing the follow-up post about the bathroom cupboards so that may have to wait until next week. I will do the ‘Foodie Friday’ post this evening but in the meantime I wanted to show you something I made the other day. 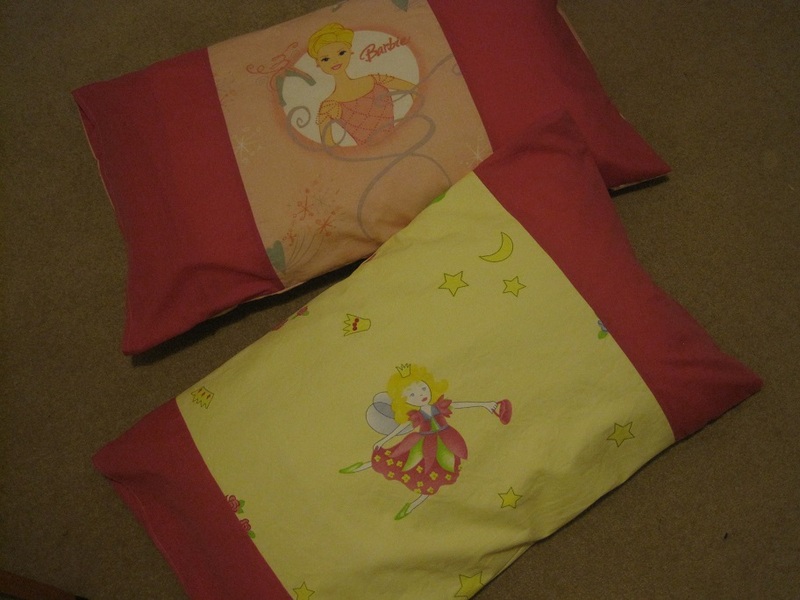 These are 2 pillowcases I made from some pieces of fabric that were given to me. The fabric was just wide enough for the cases. I cut the pieces to ensure that the design was centred on the case. 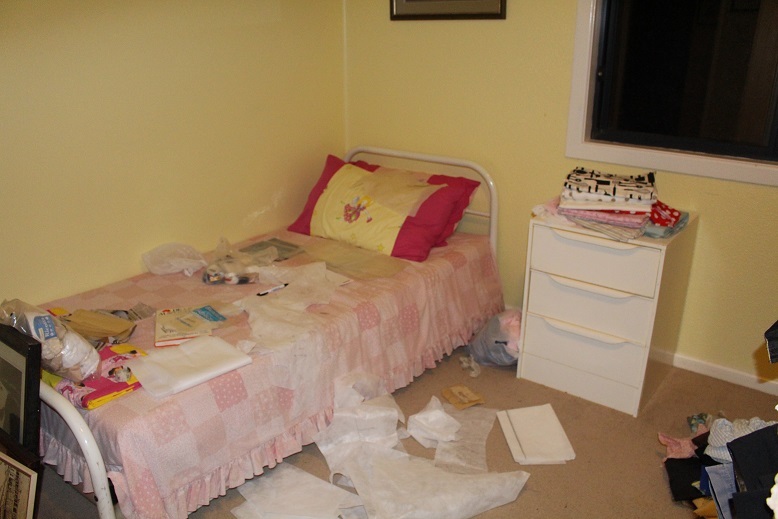 The darker pink fabric is from a doona cover that I bought from the op shop to use in some patchwork. I gave them to Miss O and Izz when they arrived last night to stay for a few days. They are very excited with the new pillowcases for their beds. When I first met The Duke, he owned 6 shirts – one for each day of the week plus one for going out. His weekend tasks included washing and ironing the shirts ready for the coming week. Since then the shirt collection has grown substantially and I wash and iron the shirts. In fact, I managed to score the task of ironing from quite early in our relationship. 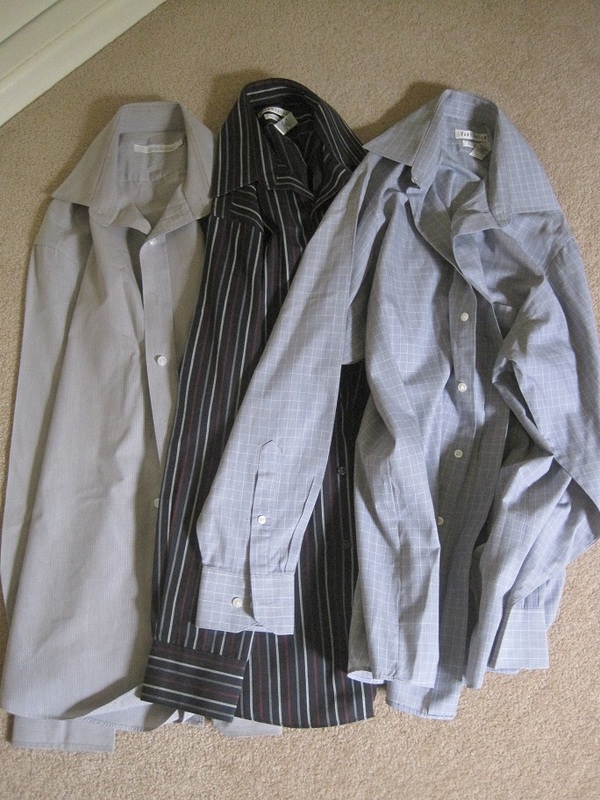 Last weekend the ironing did not get done so by the end of the second week his business shirt collection was pretty well exhausted. Seeing the shirts that The Duke chose not to wear, even when there was almost no choice, helped to confirm that they were shirts that he was not happy with. In the end these 3 have been earmarked for the op shop. 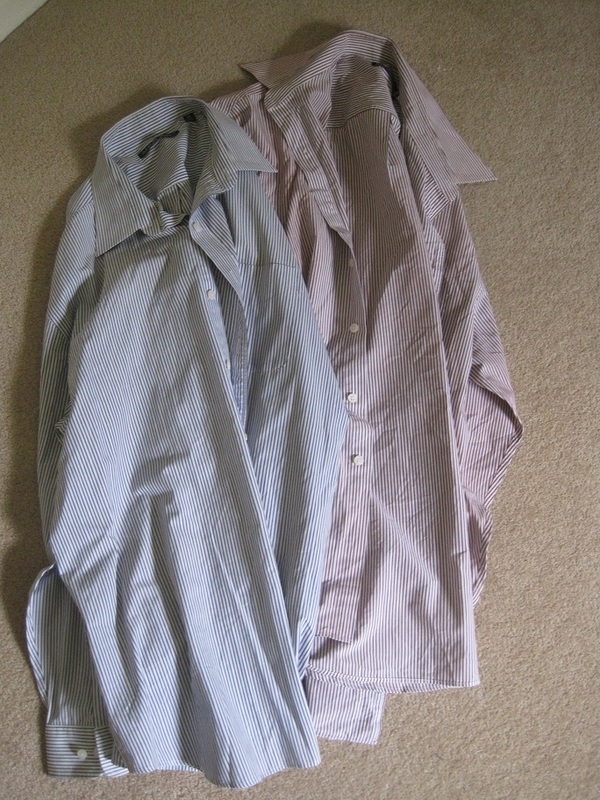 These 2 that were in the wash are also going because, to quote The Duke, “they have seen better days”. We are now back to just 5 business shirts plus perhaps 2 others that could do double-duty as casual /business attire. I think 2 or 3 more business shirts might be in order, if for no other reason than to take the pressure off me having to get the ironing done every weekend. That is one aspect of retirement that is quite appealing – not ironing business shirts. A minimalist wardrobe certainly helps to see exactly what you wear and what stays on the hanger from season to season without being worn.